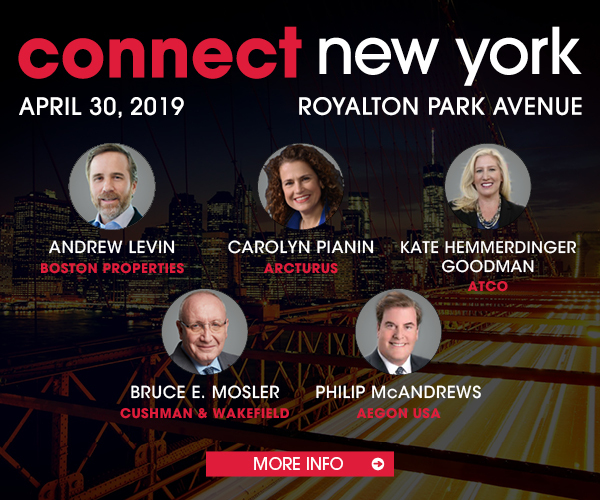 With 11 deals greater than 250,000 square feet in Manhattan over the past 12 months, “This was the year of very large leases,” CBRE’s Nicole Larusso said at a media briefing Tuesday. Capped by Deutsche Bank’s 1.1-million-square-foot commitment at 60 Columbus Circle (pictured), the year’s total of big leasing deals was 50% above historical averages. However, leasing volume ran ahead of historical averages across all size segments, LaRusso said. “2018 was really a remarkable year for the Manhattan office market,” she said. That being the case, Larusso noted that office-using employment growth has tapered off since 2014. Accordingly, rent growth in 2018 was largely flat for the third consecutive year, although Larusso pointed out that upward and downward repricing of space was the lowest in recent years. Larusso expects another positive story for Manhattan office leasing. Tellingly, there are more tenants in the market for space now than there were as 2018 began.